We had a mark/sense card reader at Wofford College back in the 1970s. 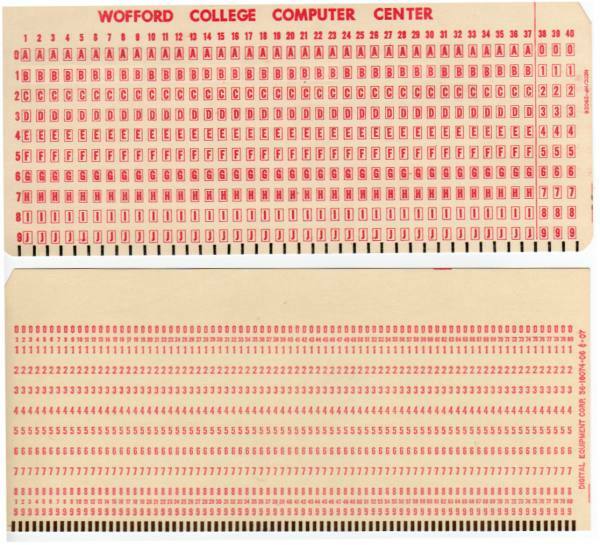 Dr. Olds and the college used these cards to take surveys, tests, etc., and the results were tallied by a program using the card reader. Here are a couple of the cards from Dr. Olds' personal collection.